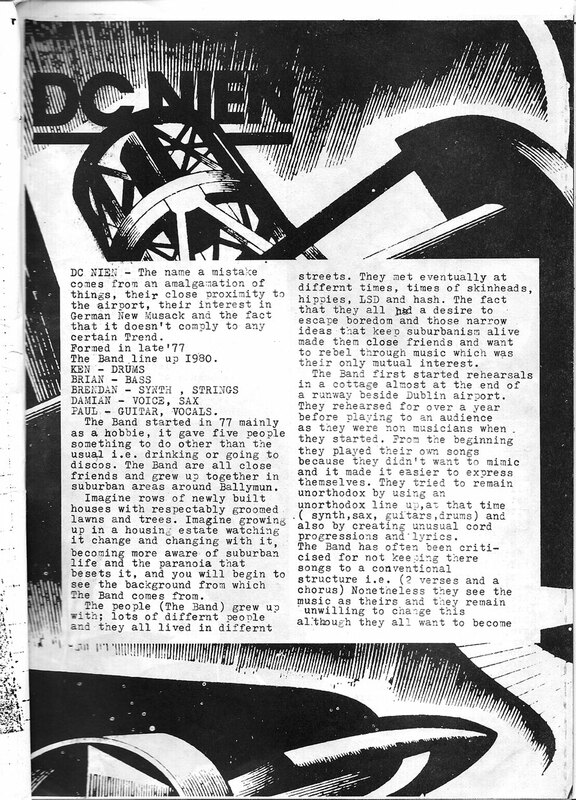 To be honest, I had forgotten about Black and White Fanzine. It emerged from the ashes of the brilliant Heat fanzine and featured some of the same writers and designers. Here’s a photo of the first 2 issues, I think only 3 issues were published in late 1979, early 1980. 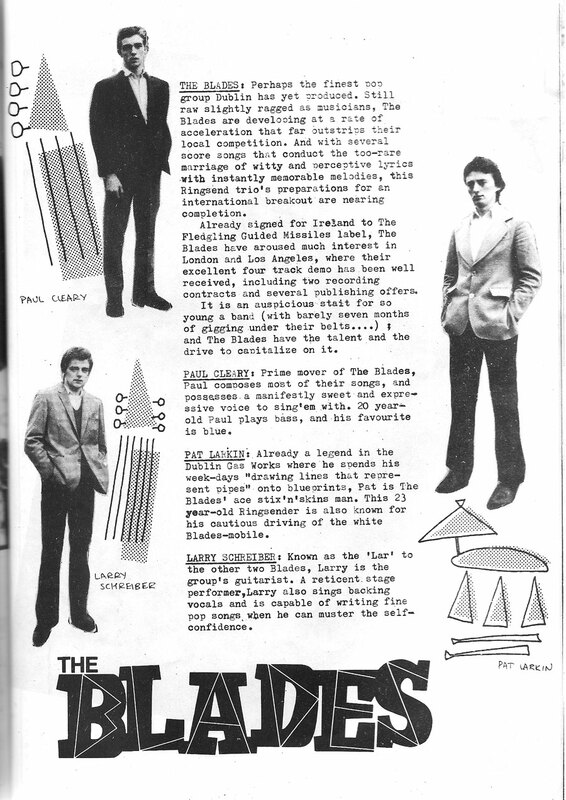 From a design and layout perspective, it was still miles ahead of other fanzines. But it wasn’t as good as Heat, lacking its predecessors humour and opinion. I’ve scanned in 2 sample pages, one on the Blades, the other on DC Nien, both of which Dundalk group the Scheme opened for at a large number of gigs.